Are you going to join Jamplay.com? But not sure whether it’s worth your money and time or not? If yes, you’ve come to the right place. We’ll reveal the Pros & Cons, user reviews of JamPlay’s guitar lessons in this article. JamPlay.com is an online video guitar lesson site dedicated to teaching you absolutely everything you need to know to learn and master the guitar.They provide over 431 hours of lessons from 40 instructors. Here are a few sample lessons to give you a sense for what these JamPlay guitar lessons look like. JamPlay is by far the most comprehensive guitar program on the internet today. The format is a little different than other programs – as it is a paid subscription to over 400 hours of guitar instruction. When you pay you have access to all of the videos and resources, unleashing the skills of over 40 different instructors who are all very good and talented in their own right. I’m not sure how they get all this talent, but they did a job of developing comprehensive lesson plan and integrating these instructors to fit the various levels of ability and genre of music. A really interesting feature of Jamplay is that they also offer more than 12 hours of live instruction per day via webcam – so that you can interact directly with many of the instructors. 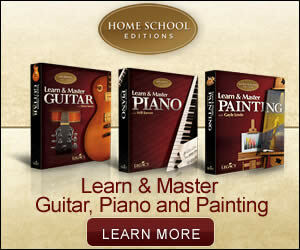 It’s hard to find other programs that offer such depth of online guitar instruction. Once you decide to sign up for a JamPlay membership then it’s really an open range of structure lessons – you have unlimited access to everything. This is particularly important for those who play a little guitar but have no idea what level they are at. For those that believe they could increase their levels of abilities in all areas and in all genres of music, this might be the site for you. In fact, JamPlay has structured their program to fit in with all skill levels – beginner lessons to professional sessions. They also provide a lot of sidebar tidbits of information – the best way to play power chords, how to pick, and how to even record your music! All really good stuff, as it recognizes that people who are interested in kicking up their skill level may be interested in recording, writing, and doing other tricks with music and recordings. Arguably, they offer probably one of the best support programs for questions and answers around and have developed a reputation for quality instruction and help – and this is crucial for whatever level the guitar player seems to be. JamPlay could be better with offering sing-along songs or offer more sheet music with their product. Proving music CDs like a few other sites allow the user to play along when the computer is shut off. Another recommendation would be to allow unlimited downloads of the videos. And it doesn’t offer DVD package version as an option. For now, all their video lessons are only accessible online only. That’s fine, but if you’re with your laptop and unable to find a Wife connection you may be out of luck with instruction. In essence you are renting these videos and never really owning them. JamPlay offers a few flexible payment plans (the best that we have seen on per month basis) for what you get. Currently the monthly membership plan is only $19.95, the quarterly plan is $49.95, and the annual is $139.95. If you are considering any of the options, I would start off with the quarterly plan and renew. That should give you enough time to play around with the site and check out all the instructions, many of wish you will enjoy. Any option you choose, you stand to win because of the enormous variety of instructors and music genre instruction. * It offers a 100% money back guarantee. If you do not like jamplay site, let them know within 7 days and they will refund you the full amount; no questions asked. * Their guitar lessons are only available from theire official site, as it is a paid subscription site. And their official site is the only place where you can learn from. Previous Article TrueFire.com Review – How are Their Online Guitar Lessons? Next Article Compare Top Online Guitar Lesson Sites, Find The One Help You Learn Guitar Fast & Easy, at Affordable Price! I’ve tried all the systems listed in this comparison review and Jamplay is the only one that impresses me. Jamplay is worth far more than the subscription price, delivers an exceptional experience and uses your online computer capabilities (it’s not like a book or dvd) to provide outstanding teaching tools and aids. I’m a memeber of Jamplay and LOVE IT! I joined Jamplay several months ago and the experience I got from them was beyond amazing and learned a lot more from this site then I would ever learn from an in person teacher. The community is not only friendly and ego free but even the members offer helpful suggestions on any issue you might be struggling with. The staff of Jamplay are friendly professional and above all fun to talk with and a few of the staff members I can consider them friends as well as my teachers. I have taken lessons in person and find that it costs 40-70 dollars an h/r and you tend to feel rushed in your lessons so you feel like you are getting your money’s worth, were Jamplay you can learn at your own pace with the video lessons you can stop and rewind a lesson if you miss something. All in all as a guitarist I highly recommend Jamplay to any fellow guitarist I meet or friends wishing to learn to come to Jamplay.com and rock your heart out this is the best site you will ever come across and I am happy to be a member and friend to the staff here. Rock on guys and keep up the great job. I like the theory part, learning scales and pentatonic patterns that I never learned when I started playing guitar 30 years ago. I can now download backing tracks in all different keys and play lead along with them in all the different positions. The only downside is the song selection that they have. I’ve already learned the songs that I am interested in and are waiting for new songs to be added. Jamplay member for over a year, I just love it. I’m playing songs even further along than my lessons and i’m learning many guitar styles since I have access to all the teachers lessons at any time. If you have unanswered questions, just go to live chat and ask, the teacher will gladly teach you how to fix your problem or what you need to know. There are now live jamming sessions if you’re equipped with camera and mic you can play for everyone and get live feedback…which gets you used to playing for others. I do a few lessons, then practice until I get it right before moving on and it has taught me different styles and different ways to get to the same point…it’s wonderful having so many teachers available with different backgrounds and playing styles. Highly recommend it …you can also print the lessons and exercises if you wish to or save them in pdf files for future use or printing. There are also lessons in music reading, singing, and lessons on improving your playing style, accuracy etc…it’s worth every penny at every level, even if you’ve been playing for years…you’ll learn new stuff like you wouldn’t believe. I have not filled out all of the sections accurately because I am not a member of Jamplay yet. But, I wanted to point out that I am on a 7 day free trial. So far, after two days I am really impressed with the offering and have already learned a lot. I am doing the Beginner’s section and the instructor is good, thorough, easy to follow and pleasant. I did join Guitar Super Stars (Platinum) and feel it is an absolute ripoff compared to what Jamplay has to offer. I am writing off my Super Start fee and will probably never access the site again. I have asked for my money back and will see what happens. Jamplay is easy to sue and comprehensive. Their 7 day trial is worth trying. As a long term member of Jamplay I can only say that the company is constantly improving the site. The original reviewer left our a couple things. 1. The community of members are wonderful and helpful. 2. There are learning tools such as an online chord library, a lick library, down-loadable backing tracks, tabs for each lesson, theory learning games, online metronomes, and tuners. 3. Live Q&As are now enhanced with the ability for the student to fire up their cam and show what their difficulty is. The instructor on cam can then be more affective at helping the student. 4. 3 billing options. $19.99 a month $49.99 ever 3 months, (subscriptions) or 1 year one time pmt $139.99. Awesome site. No skippy video or morons on You Tube trying to explain theory in two minutes. Great for beginners and anyone wanting to improve. Worth EVERY penny. Absolutely the best teaching and learning tool ever.